In honor of Black History Month, I have compiled a list of my top ten black inventors of all time. While these particular individuals may not be as famous as other black inventors, these individuals are all unparalleled in their unique contributions to these United States. Along with some background of each inventor, I have included a representative patent for review. Every year it becomes increasingly difficult to select only ten inventors from the thousands of choices. This year, as opposed to simply listing the best patents, or most lucrative inventions, I have chosen to select those black inventors who have broken the mold, setting new standards for innovation. I have focused on the practical as well as the profound. What follows are ground-breaking accomplishments by great American pioneers. 10. Thomas L. Jennings – Dry Cleaning Described by Frederick Douglass as “a bold man of color” who led an “active, earnest and blameless life,” Thomas L. Jennings was the first African American to receive a patent. On March 3, 1821, forty-four years before the end of slavery, at a time when the inventions of slaves were owned by their masters, the United States granted Jennings Patent No. 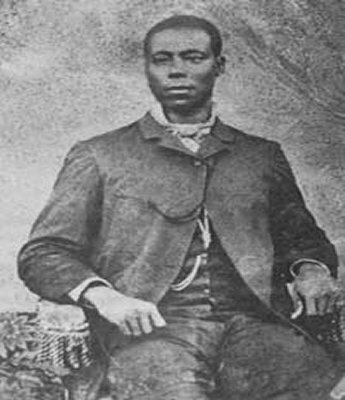 X3306, on a dry-cleaning process he called “dry scouring.” Thomas Jennings used the proceeds from his invention to purchase his family out of slavery. Jennings also used the money to donate to abolitionist causes for the remainder of his life. Representative Patent: Cloth, Scouring United States Letters Patent Number X3,306 [When the United States Patent Office first began issuing patents on July 31, 1790, it did not assign numbers to the issued patents. The Patent Office only referred to issued patents by the name of the inventor and the patent grant date. It was not until the passage of the Patent Act of 1836 that the Patent Office first issued a numbered patent. The Patent Office began numbering patents issued in 1836, starting with Patent No. 1. Only in the 1950s did the Patent Office go back and start numbering pre-1836 patents with the prefix “X.” So the first U.S. patent ever granted is Patent No. X1, issued on July 31, 1790. 9. 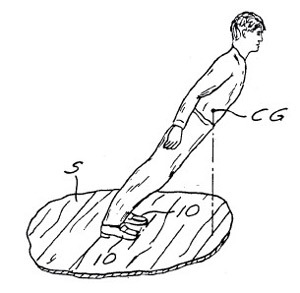 Michael Jackson – Gravity defying shoes In 1993, singer and entertainer Michael Jackson received a patent on a novel shoe, The shoe includes a cut-out in the heel, which an entertainer slides on and off a nail head in the stage. The nail head grabs the heel and allows the entertainer to perform apparently gravity defying leans. 8. Thomas Mensah – Patriot missile guidance system Born in Ghana, Dr. Mensah is the Chairman of Supercond Technology Inc. of Norcross, Georgia. Holder of over a dozen United States and International patents, Dr. Mensah’s inventions span the fields of fiber optics to guided vehicle systems. His work with SMART weapons, like the Patriot missile, were critical to the success in the Gulf War. 7. 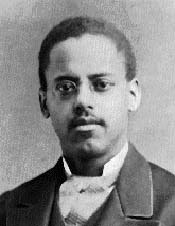 Lewis Latimer – Electric light filament Everyone knows Thomas Edison invented the light bulb, but few know that it took African American inventor Lewis Latimer to come up with the carbon filament that made it practical. Edison’s original draftsman, Latimer drafted the plans for Alexander Graham Bell’s telephone. Working many late nights with Bell, Latimer worked tirelessly to file a patent on Bell’s telephone mere hours before the filing of a similar patent by a rival inventor. 5. Dr. Patricia Bath – Surgical cataract laser Born in Harlem, Dr. Bath has become an internationally acclaimed ophthalmologist and surgeon. Not content to rest on her laurels, Dr. Bath has dedicated her life to the treatment and prevention of blindness in African-Americans. A pioneer in laser cataract surgery, her laser-powered Laserphaco Probe allows physicians to vaporize sight stealing cataracts in minutes. President of Johnson Research Development Co. and formerly with NASA’s Jet Propulsion Lab, Lonnie Johnson is a nuclear engineer with over 100 patents to his name. This Tuskegee alumnus has generated over one hundred million dollars in sales with his world-renown invention, the SuperSoaker squirt gun. He is currently working on a solar energy cell which promises to cut solar energy costs in half. 3. 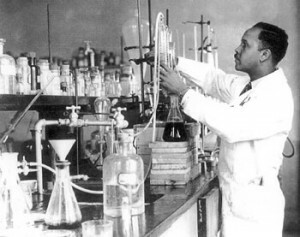 Percy Julian – Cortisone synthesis Granted over 100 patents Percy Julian is best known for his innovative synthesis of cortisone from soy beans. His inventions significantly reduced the cost of manufacturing cortisone used to treat rheumatoid arthritis and inflammation. Julian is a 1990 inductee into the National Inventors Hall of Fame. 2. George Crum – Potato chips Part Native American and part African American, George Crum never received a patent. He is credited however, with inventing one of this country’s most ubiquitous snack foods, the potato chip. Known for his irascible nature, George Crum earned his living as a cook. One day, the story goes, a businessman entered Moon Lake Lodge, in Saratoga Springs, New York. Not happy with the thickness of the potato slices Crum was serving on that particular day, the businessman sent them back. While customers at the Moon Lake Lodge sometimes sent food back once, they rarely sent them back twice, especially if George Crum was working. Crum took it upon himself to make the meal so unpalatable, patrons would dare not try their luck a second time. In this particular case, Crum sliced the potatoes as thin as possible, fried them in oil until they were hard. Crum then doused the potatoes in enough salt to make them what he believed would be inedible. To his chagrin, the customer loved the new “potato crunches.” Crum began serving the snack at his own restaurant. Since Crum had no patent, Crum did not share in the profits from what others have turned into a multi-billion dollar industry. 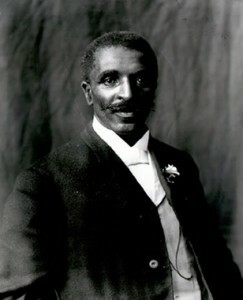 Best known as the inventor who could do anything with a peanut, George Washington Carver patented only a small handful of his hundreds of his novel products and methods for improving agriculture. Born a slave, Carver consistently shunned fortune. Interested only in the betterment of mankind, he took no money at all for the majority of his inventions. Granted a scholarship in Kansas, the college refused Carver withdrew his admission after discovering Carver was African American. Carver enrolled at Simpson College in Indianola, Iowa, before eventually landing at what is now Iowa State University the following year. Carver researched at the Iowa Agriculture and Home Economics Experiment Station (IAHEES), and became the Iowa State University’s first black faculty member. Carver is a 1988 inductee into the Iowa Inventor’s Hall of Fame and a 1997 inductee into the National Inventors Hall of Fame. As a patent lawyer, I probably appreciate the foregoing inventor more than most, but if you have your own favorite black inventor, please leave a comment below; I would love to hear from you.